Working on paper is somehow liberating. 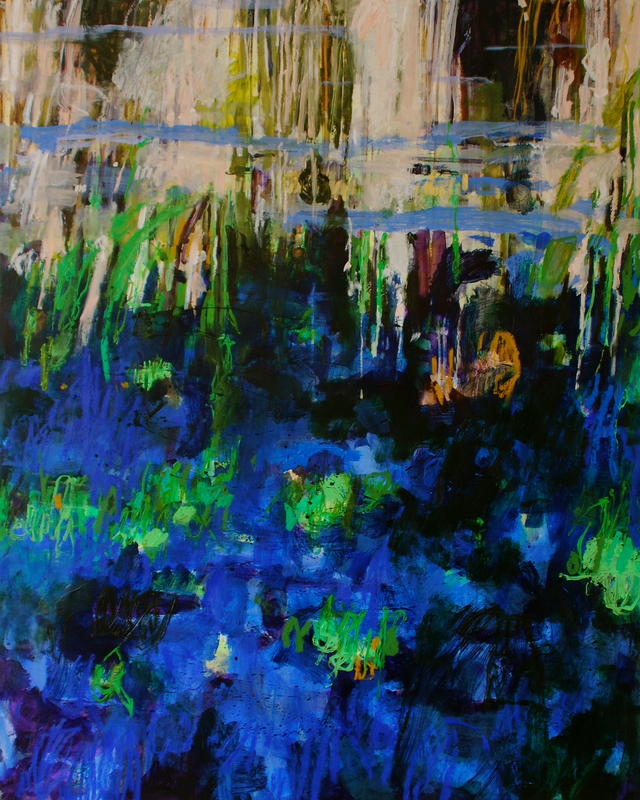 This series has shown the exploration of "ponds" further than done in Caroline's earlier oil paintings. Ponds deliver a certain fascination. They are moving landscapes (reflections, moving skies, thrilling color combinations, their very own habitats, micro worlds ... enough room to think about metaphors). This series also provides a chance to liberally apply and explore the feel for warped perspectives. 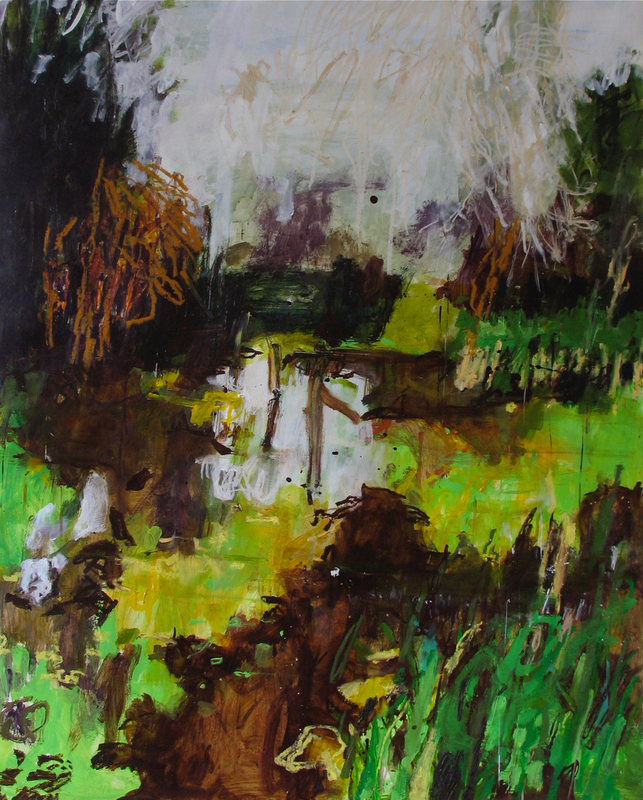 Exciting new developments in further abstractions and loose application and use of different paint media. The paintings have been mounted on wood and framed.